You can help Band Central serve local charities such as CLASP, Children's Learning Centers, Center For Family Justice, Domus Kids, Save The Children, WPKN and SpreadMusicNow, etc. 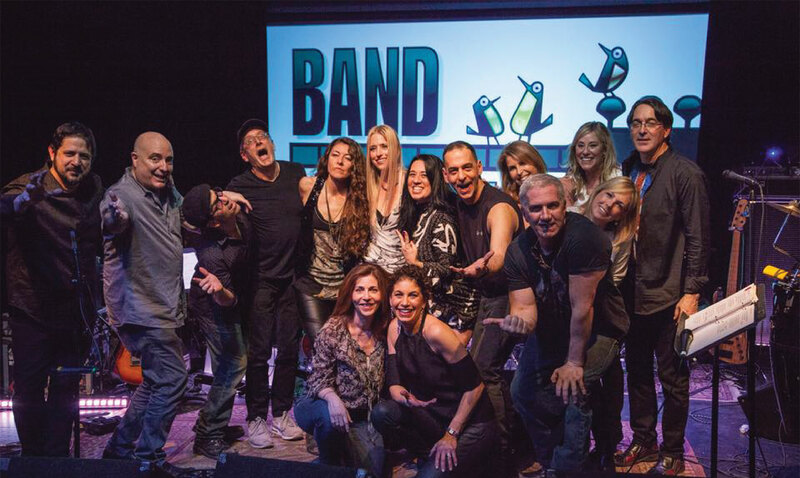 by donating to the Band Together CT Fund at Fairfield County’s Community Foundation. In 2018 we helped raise $371,000 for 18 charities bringing the total raised since 2006 to ~$3.4 million. $139,000 was received as donations to the Band Together Fund, which means that through ticket sales, auctions, raffles, ad sales and additional donations we multiplied donations 2.7:1. Funds received from donors are used to incentivize the charities to go out and raise more funds. Disbursements from the Fund were solely for grants as follows: Children’s Learning Center ($8,000), Sterling House Community Center ($10,000), Cardinal Shehan Center ($8,000), Alzheimer’s CT Chapter ($4,000), WPKN ($4,000), McGivney Center ($4,000), Simply Smiles ($4,000), KEYS ($5,000), Adam’s Camp ($8,000), Center For Family Justice ($5,000), Mission-Connecticut Challenge ($10,000), Pilot House Special Needs Foundation ($10,000), Norma Phriem Breast Center ($7,000), CLASP ($13,000), Domus Kids ($8,500), Berklee College Effortless Mastery Institute ($5,000), CT Institute For Refugees And Immigrants ($2,000) and Spread Music Now/City Lights ($5,000). A portion of the money raised goes to pay the costs to put on the shows, for example, musician payments, theatre rental, lights, sound, food and printing of programs. Musician payments, the largest of these, totaled $27,000 in 2018. Some of our popular live music themes are Motown, A Night At Studio 54, Latin Dance Party, Arena Rock, Classic Rock, Country and Michael Jackson Thriller. Over the years we have received accolades and awards including: Artist of The Year from Fairfield Theatre Company, Best Of The Gold Coast Live Music Award from Moffly Media, a Certificate of Special Recognition from Senator Richard Blumenthal for “outstanding contributions to music and the community” and the Community Service Award from Rotary Club Fairfield. Band Central aims to curate the finest local artists for our audiences. An example is our December 2, 2016 concert, the video of which is below.